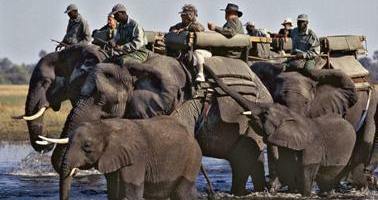 - Budget Safari Tour. Can start any day. Minimum of two passengers to operate the tour. 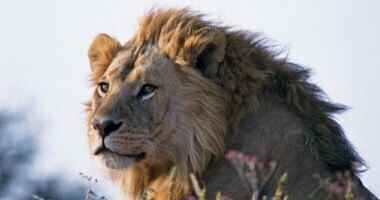 An extremely relaxing safari, with ample opportunities to search for and watch the big five. Driving between the regions is especially scenic, with many fascinating sights en route. The national parks are diverse and wildlife abundant. Offers excellent opportunities to see the "Big Five" (Elephant, Lion, Leopard, Buffalo and Rhino) as well as a variety of tropical birds without traveling great distances. Depart Arusha after lunch, and drive across the Masai Steppe to the Great Rift Valley, and up the escarpment to your hotel perched on the rim and overlooking the park below. From which ever direction you approach Lake Manyara, you get a spectacular view. Approaching from the east the Great Rift Valley wall forms an impressive backdrop to the Lake. From the west, with a pause at the top of the escarpment, the park lies below, a green strip beside a glistening lake. Lake Manyara National Park covers an area of 330 square kilometers, of which about two thirds is the lake itself, and the rest is forest, acacia woodland and some grasslands by the lake shore. The wildlife can be migratory between Lake Manyara and Tarangire National Park across the lake, but you should see elephant, hippo, Cape buffalo, giraffe, several species of primate and antelope, and prolific birdlife. Dinner and overnight at the Lake Manyara Hotel. After breakfast there is a game drive in the park . There are normally plenty of Hippo around, and you may be lucky enough to see the elusive tree climbing lions for which this park is famous. After lunch continue to the Serengeti National Park. This is one of the most popular and spectacular game areas in East Africa , covering an area of 14,765 square kilometers, teaming with game. 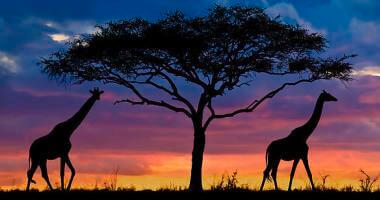 A particular feature of the Serengeti is the annual migration of the wildebeest and zebra herds. Each year, after the traditional "short" rains in November the migration starts when the herds amass in their thousands on the plains below the Ngorongoro highlands. During February they move north and west following the rains and the new grasslands, and they start to move into the Masai Mara in July. In October they move back to Tanzania .This annual phenomenon involves more than 1.5 million animals, including the lion and other predators who follow the herds for easy pickings. The whole process affects the lives of thousands of other species who rely on the passage of the migration for their survival, even the insects, not to mention the trees and plants which rely on the droppings for their fertilization. Dinner and overnight at Serengeti Sopa Lodge. The Gorge is about 50 kilometers long and in some places 90 meters deep . Commonly heralded as the "Cradle of Mankind" it was made famous by the discovery in 1959 of the remains of early man. Your stop includes a visit to the small museum overlooking the Gorge. After a picnic lunch you continue on to your lodge on the Ngorongoro Crater rim for dinner and overnight. " It is impossible to give a fair description of the size and beauty of the Crater, for there is nothing with which one can compare it. 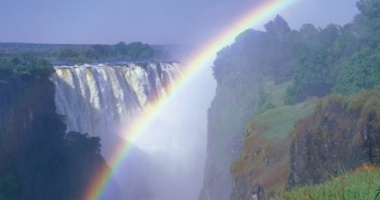 It is one of the Wonders of the World." This is how the Crater is described by Bernard Grzimek in his classic "Serengeti Shall Not Die". The area is given over to Wildlife Conservation and comprises 8300 square kilometers of which the Crater is 260 square kilometers, and consists of grasslands, swamps, forests, rivers, and even an arid area of shifting dunes. The Crater supports a year round resident population of varied wildlife, and as the game is concentrated into a relatively small area you are likely to see lion, elephant, hyena, jackal, cheetah, the very rare Black rhino, primates and many more. The area is also home to the proud and colorful Masai tribe. Dinner and overnight at the Ngorongoro Sopa Lodge. After an early breakfast you descend into the Crater in a 4 x 4 vehicle for a full day of game viewing with a picnic lunch taken on the Crater floor. Late afternoon you leave the Crater drive back to the lodge for dinner and overnight. Return to Arusha late morning.